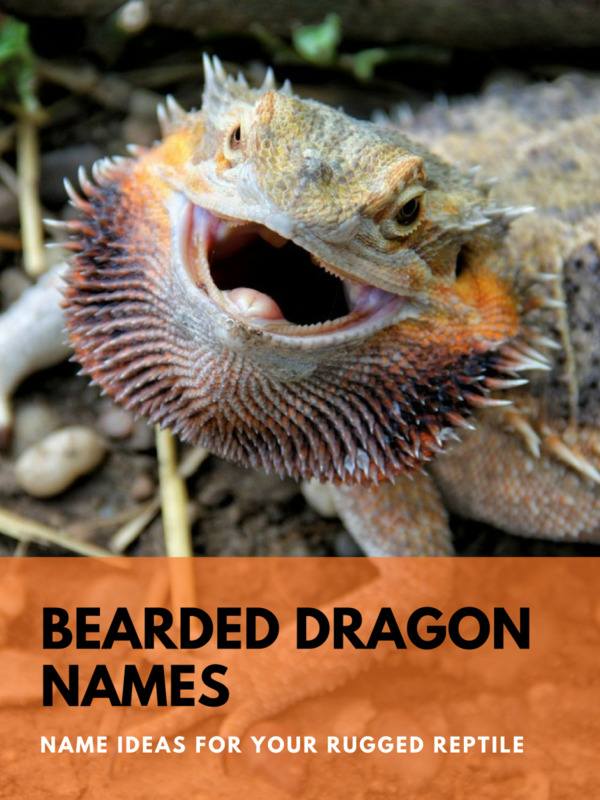 I'm a part-time reptile breeder and a full-time animal lover. I keep over 100 individual reptiles across 10+ species. 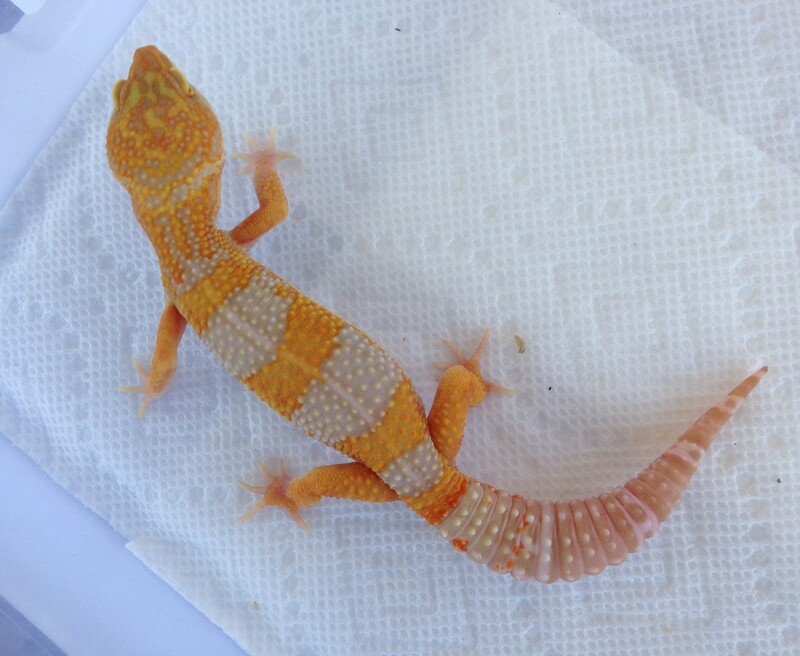 Leopard geckos (Eublepharis macularius), a terrestrial species that originates from the rocky mountains of Pakistan, are a popular starter pet in the reptile industry. They are found in pet stores around the world and have been kept and bred in captivity for decades. They are reasonably small, robust, and come in a wide variety of colors that have been developed in captivity. They are extremely easy animals to keep and can live long, healthy lives if given proper care. 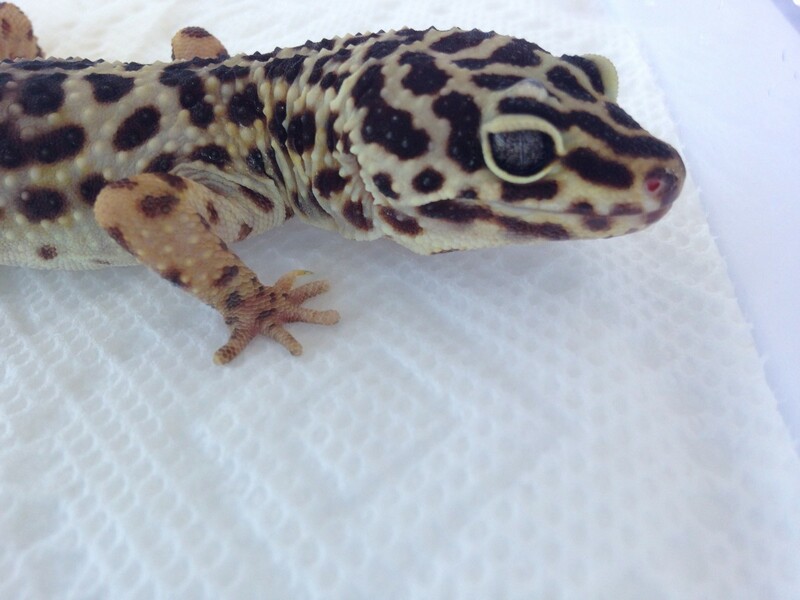 This care sheet will give you the basics for setting up a leopard gecko. 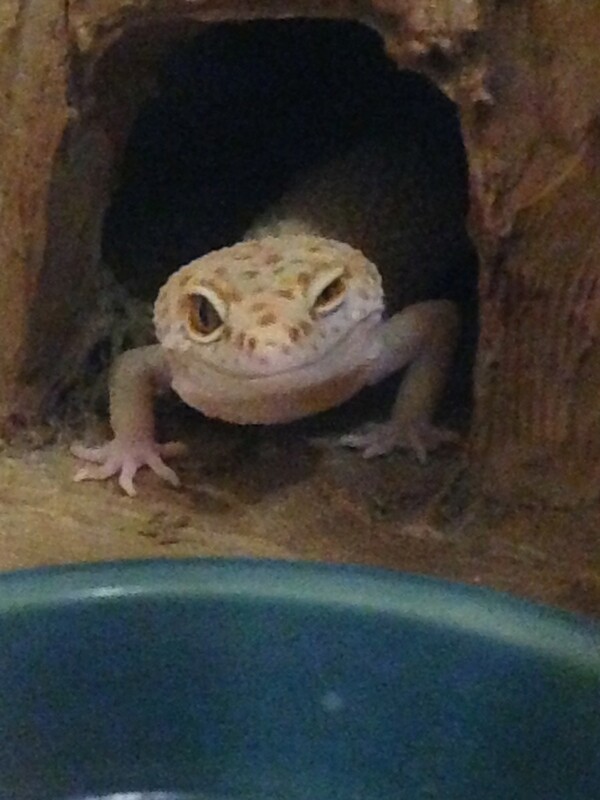 The basic components of a leopard gecko home consists of a enclosure, heat source, substrate, and hides. An enclosure can be a glass tank, or a plastic tub. Enclosures should be longer than they are tall. 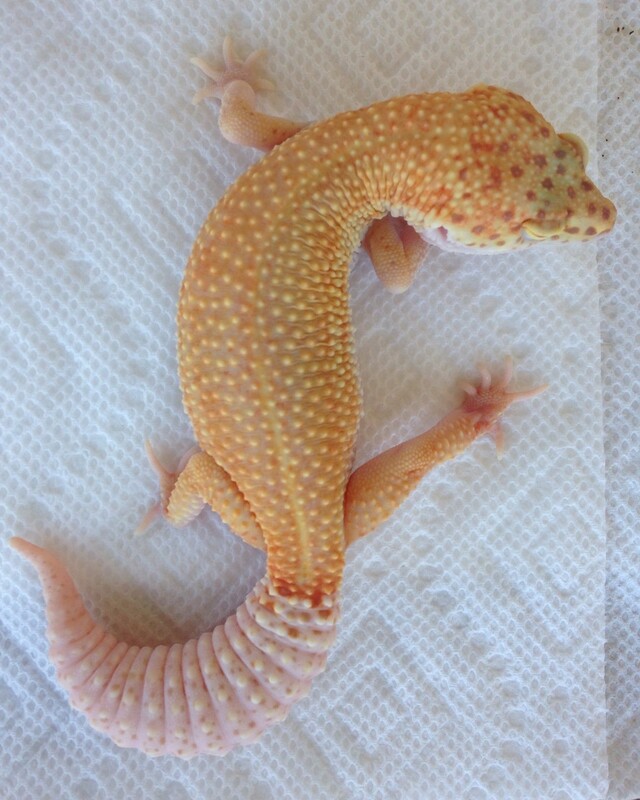 Leopard geckos are a terrestrial species and should have a good floor space. 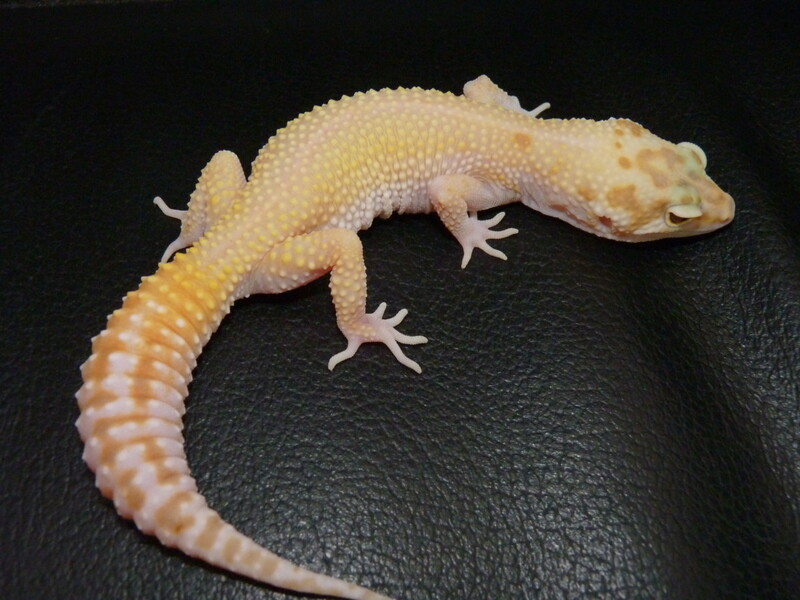 The minimum size tank for a single adult leopard gecko is 10 gallons. 20 gallons is often preferred by keepers due to ease of decorating and better heat gradient. Heat sources are extremely important for leopard geckos, as it facilitates proper digestion. They absorb heat through their belly, so the best type of heat source is known as “under-tank heater”. This heat source needs to cover one-third to one-half of the floor of the enclosure. Ideal floor temperatures for these geckos are between 88-94 degrees Fahrenheit, so the heat source needs to be regulated by a thermostat that has a probe. Leopard geckos originate from areas of rocks and hard packed dirt. As such, loose substrate is not natural to them and should be avoided. Flooring can be picked based on keeper preference, but it should be solid. Commonly used safe substrates are paper towel, not glossy tile, slate tile, or shelf liner (NOTE: tile and liner should not have adhesive backings). Hides are where a gecko will spend much of its time during the day. 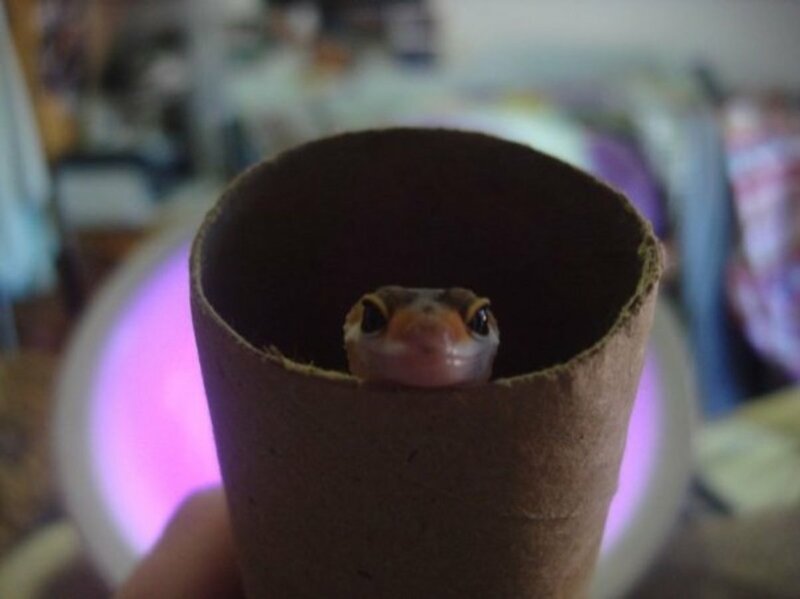 Hides can be store bought, modified tupperware containers, anything that will make the gecko feel safe and secure. There simply needs to be a minimum of three: one warm, one cool, and one humid hide. The humid hide should have a dampened substrate inside it to aid in shedding. Examples for the humid hide substrate are sphagnum moss, coco fiber, or paper towel. Leopard geckos are insectivores, a subset of carnivore that means they feed primarily on insects. 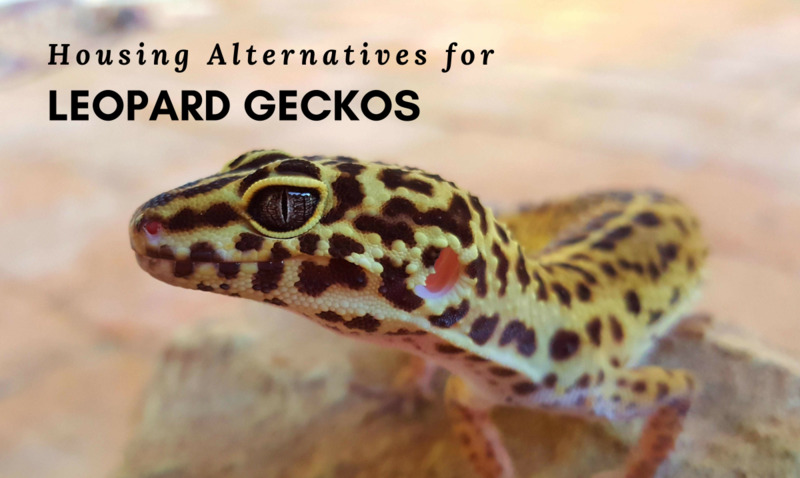 Variety is key when feeding leopard geckos. Staple feeder insects can be superworms, mealworms, roaches (dubia, discoid, lateralis), and crickets. Crickets tend to carry parasites and should be purchased from safe sources. Healthy supplementary insects can be hornworms, silk worms, and phoenix worms. These insects are healthy but often cannot serve as staples due to restrictions such as moisture content or monetary restrictions. Treat insects are butter worms and wax worms. These should be fed to healthy geckos only as an occasional treat, no more than once a week. When it comes to a feeding schedule, young geckos should be fed more frequently than adults, who should be fed once or twice a week. They rarely eat more than they need at one time, so feed as much as they will eat in one sitting. There is no strict amount on how much to feed. 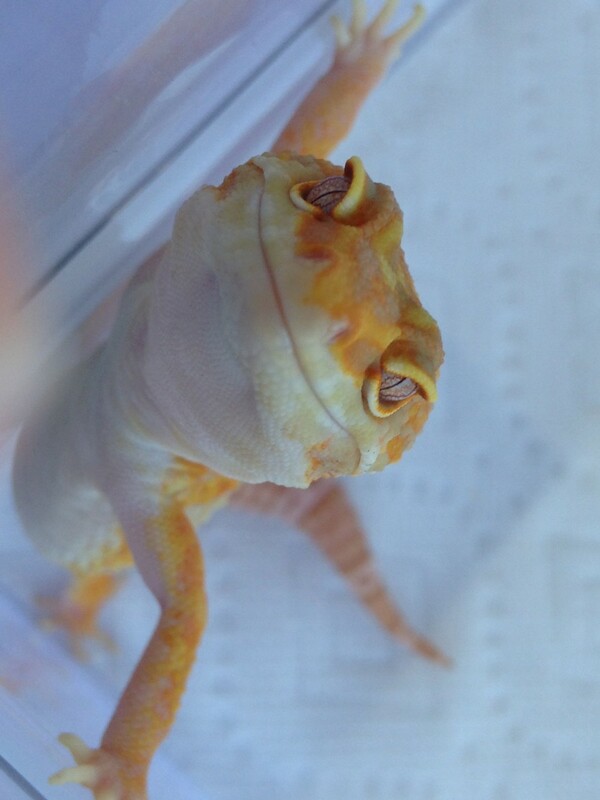 As long as the gecko is a healthy weight, allow it to eat as many healthy insects as it wants! Gut loading feeder insects is important to maintaining healthy animals. Gut loads can be purchased from commercial producers, however it can be just as simple as feeding healthy veggies such as carrots, potatoes, and romaine lettuce to the bugs. Any commercial gut loads should be researched before purchased as there are many junk ones sold by pet stores. 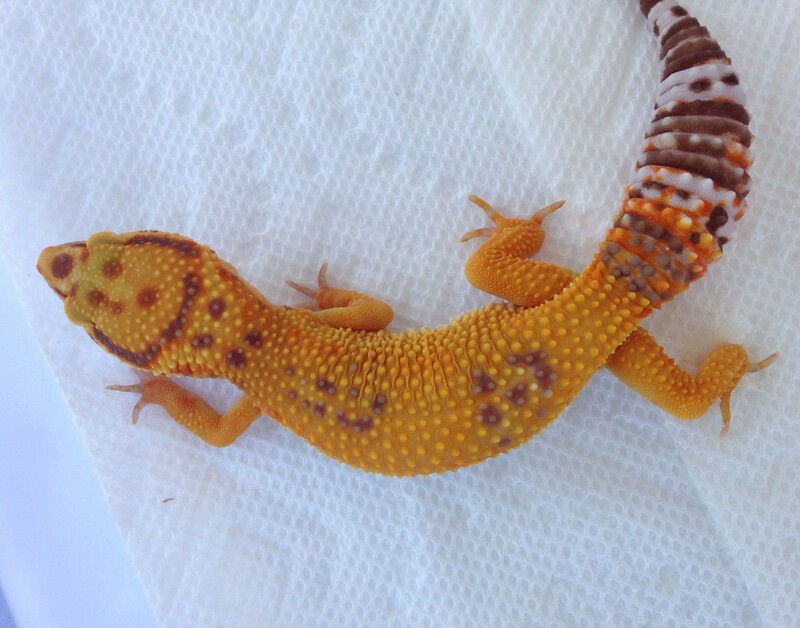 Leopard geckos do require outside supplementation for optimal health. Calcium with Vitamin D3 is required to prevent soft, spongey bones. Calcium without D3 is not necessary to purchase. 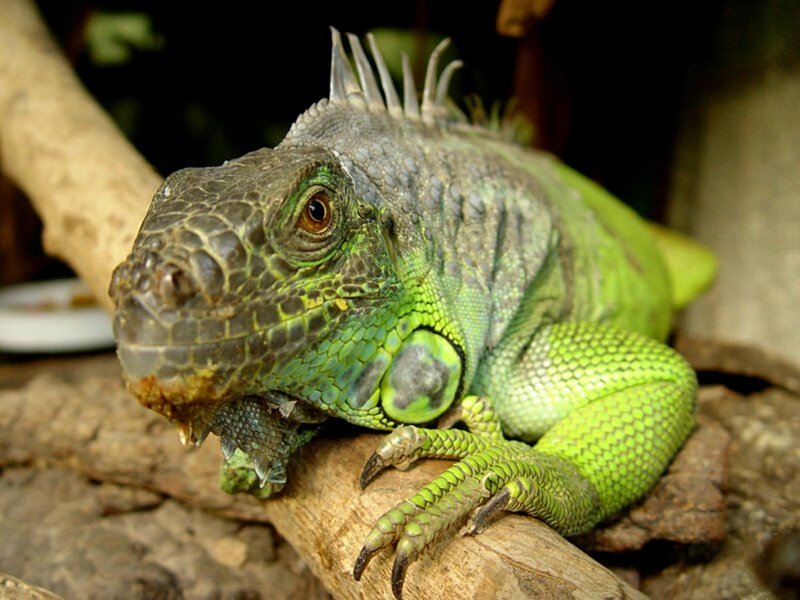 A good reptile multivitamin is also necessary to ensure proper shedding. Both supplements can be left in separate bottle caps in the tank for the gecko to consume as needed, and should be changed out for fresh supplements every few weeks. 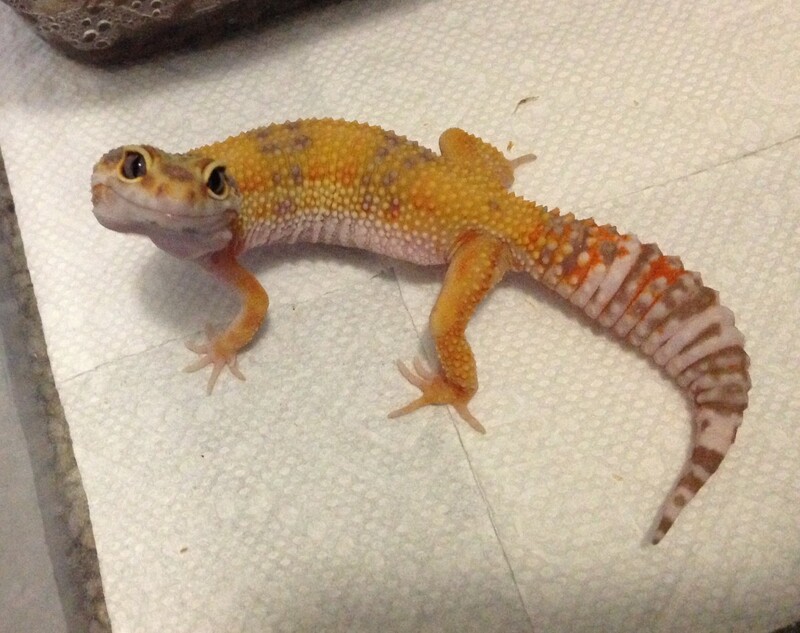 A few recommended brands of calcium are Repti-calcium and Osteoform SA. Some recommended multivitamins are Herptivite. Repashy Calcium Plus is a multivitamin and calcium combo. Ensure that the Calcium powder chosen does have D3 and is phosphorus free. There are several pitfalls new keepers fall into when setting up for a new gecko. First is substrate. Sand is often recommended by pet stores, and it looks neat and easy to clean. Coco fiber sometimes gets recommended as well. Both are claimed to be natural for leopard geckos. Both can cause shedding problems, gut impaction, respiratory infection, and other health problems. Geckos have a Jacobson's organ and tend to lick everything, so even if not fed on the loose substrate, it can still be ingested. Another pitfall is in heating. Heat lamps and heat rocks are provided at pet stores, but do not offer good heat sources. They are difficult to regulate; heat rocks are notorious for burning reptiles severely, as they can reach temperatures well over 100 degrees Fahrenheit. Heat lamps are difficult to regulate ground temperature with, and require being on constantly to maintain the temperature. Additional lighting is believed to be necessary for supplementation or daylight cycles, and it is not. UV lights are not needed with proper supplementation of D3. Night lights can actually hinder a leopard gecko’s normal nighttime behaviors and disrupt their day/night cycles. The best option is to allow the room the enclosure is in to be lighted with ambient light from a window. If that’s not possible for some reason, simply turning on a room light in the morning and off at night will work just as well. Housing multiple geckos is another area that new keepers fall into trouble. 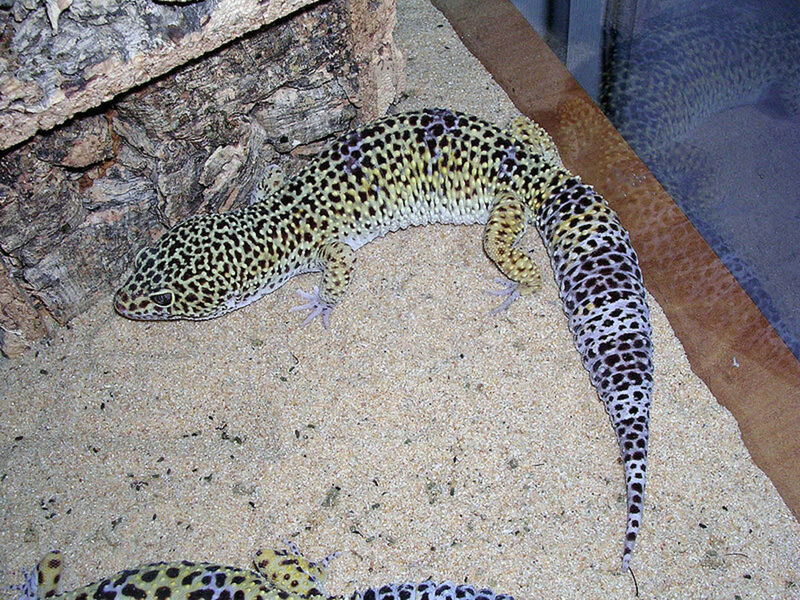 Especially when one is first starting out with these animals, leopard geckos should be housed separately, not together. Housing two together can result in bullying, injury, and even death. 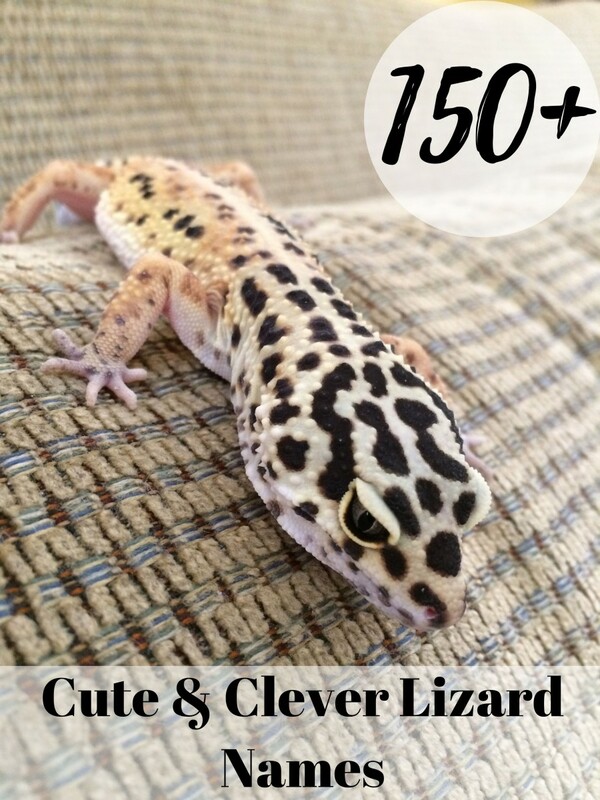 This care sheet is the basics of setting up to get someone started with their first leopard gecko. It covers the base essentials. There are more complex topics not covered here. If a question is not covered here, please look to see if I have covered it in another article. If I have not yet, feel free to request it for a future article, or try to seek out further information elsewhere online. I am happy to answer questions and help however I can! I love this one! I'm sharing it! This was interesting to read even though I will not be keeping them as pets. We have loads of wild Mediterranean geckos outside our home in Houston. We usually spot them at night on our brick catching bugs that are drawn to one of our outdoor spotlights. I really like your information, up to date and helped me improve my setups!!! !